Thai jasmine rice is recognized around the world as having the finest quality--it's Thailand's principle export product. 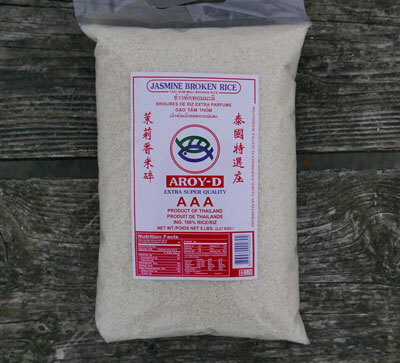 Broken jasmine rice is the cheapest jasmine rice available, as this consists of rice grains that were broken in the milling process, and sorted out. When cooked, broken jasmine rice takes on a different consistency, it's less firm, and more "mushy", but if you want to enjoy the best rice congee (called "joke" in Thai) you should use broken rice. Congee is our favorite comfort food, a wonderful way to start the day. Try it! Very aromatic and fresh, all of our jasmine rice is 'New Crop' harvest. Highest quality Aroy-D brand. 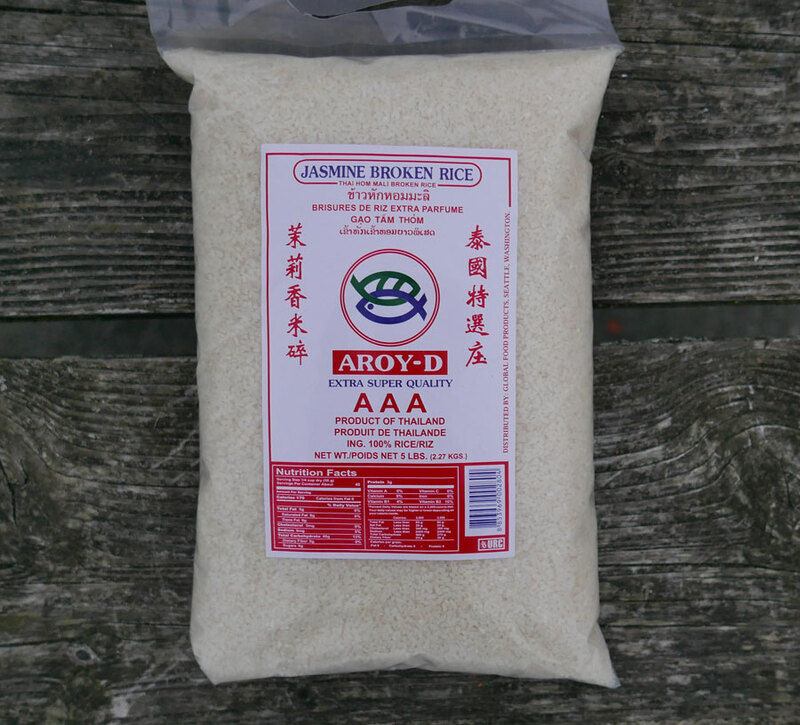 We also offer the finest export quality jasmine rice, brown jasmine rice and red cargo rice.